OMG Posters! 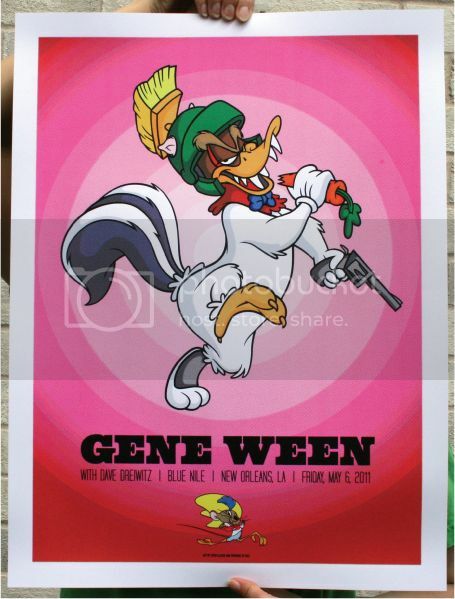 » Archive Two New Posters for Gene Ween by Todd Slater - OMG Posters! Why hasn’t anyone thought of this before?! Genius! would be great as art prints! He did something similar with cartoon cereal characters for an old nakatomi invitational. Still regret not picking that up! well…um,,,,this thread would be great if you weren’t on it. JERKOFF!!!!!!! Gener rulz! J. Granat droolz!!!!! 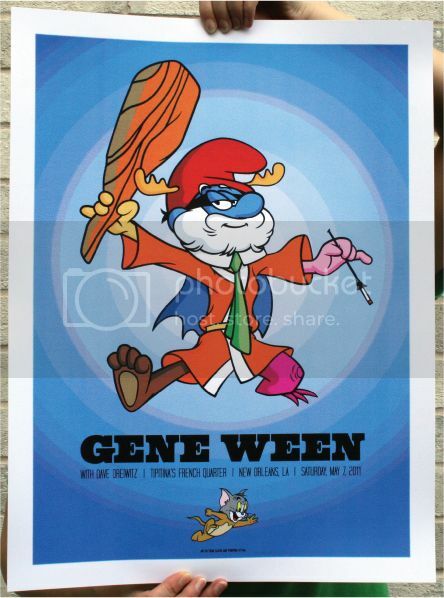 The words on the poster ruin the art and Gene Ween has nothing to do with Warner Bros. animation.